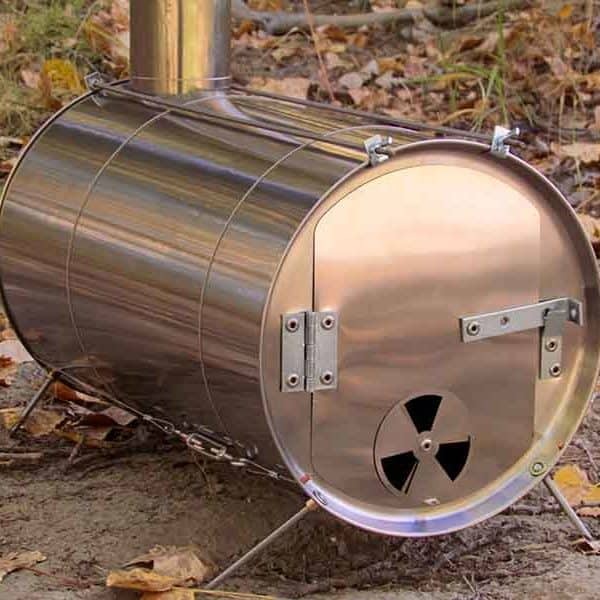 I’m sharing various portable titanium wood stoves for hot tents that I’ve found. 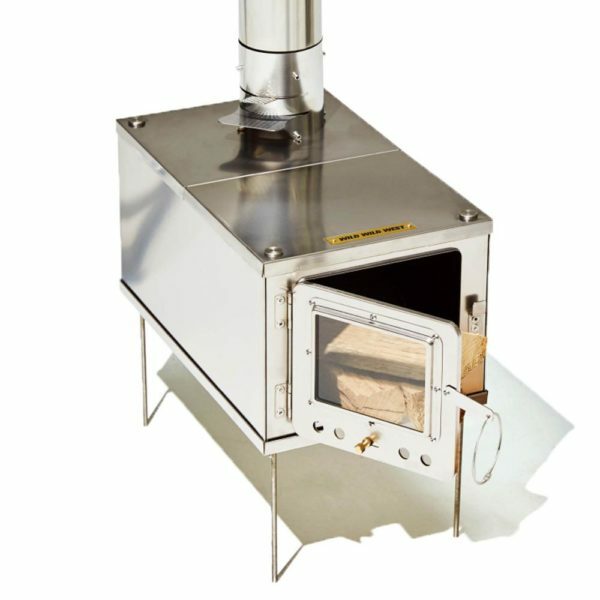 I’m in the process of making my own lightweight hot tent, and I needed a light, compact wood stove to go with it. Titanium wood stoves are very very expensive, but wood stoves are a game changer in winter. 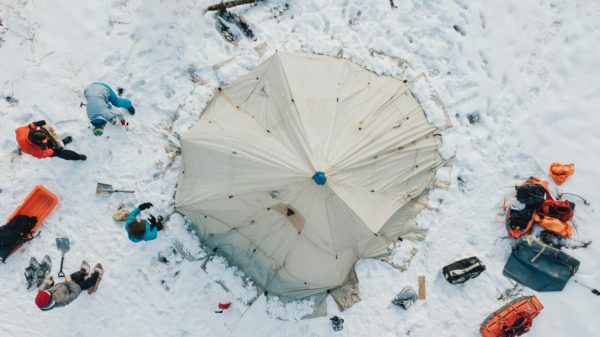 And the fact that these are so portable makes them an excellent option for winter camping. There are many drawbacks with titanium stoves though, mainly that they are small and can’t accommodate much firewood inside, and that the walls of the stove are not very thick. This means that it won’t retain heat very well and needs to be refuelled often. I’m interested in stoves for long term use as part of a canoe/sled long term survival kit, and not only for use during weekends (something that can be useful if I spend a year in the wild). Placing rocks under and around my stove would increase its thermal mass and retain heat better if I were to use it at a long term basecamp. I wouldn’t run the stove for too long (gathering and processing firewood uses up precious calories); it would be used only for cooking or when I really need it for warmth and drying gear. A great advantage of cooking in a titanium wood stove vs. cooking in a campfire is that it’s a way more efficient use of firewood, and there’s no smoke to deal with. 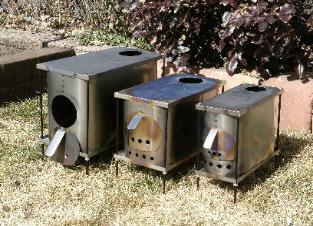 There are two main types of titanium stoves: box and cylinder stoves. Box stoves are easier to cook with, so they are a little more practical, but cylinder stoves are lighter and more compact. A neat thing about small wood stoves is that a stove jack kit can be retrofitted to many floor-less tents (the tent must be fire resistant). I really like the minimalist style of this titanium stove by Ruta Locura, but the small door limits the size of logs that fit in the stove. Wider firewood lasts longer… So that really limits how long a load of wood would last. It does feature good snow float legs though. The WIFI stove is very light, but the small door doesn’t seem sturdy or tight fitting. Scooping ashes out of the tall stove would be difficult. This titanium cylinder stove is super light and minimalist. Although the door doesn’t seal tightly, shortening the potential the burn time. The Seek Outside XL stove has a very simple but functional and reliable design. 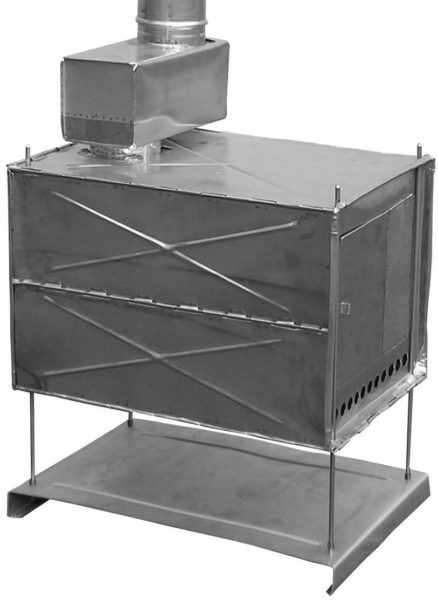 This is the best stove in my opinion because it features a large door and more volume than most other titanium stoves. 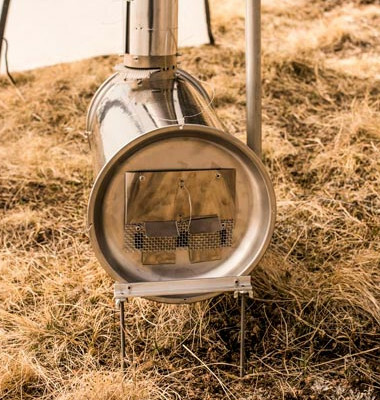 The XL LiteOutdoors stove is similar to other cylinder stoves, but has a better, larger door and more capacity. 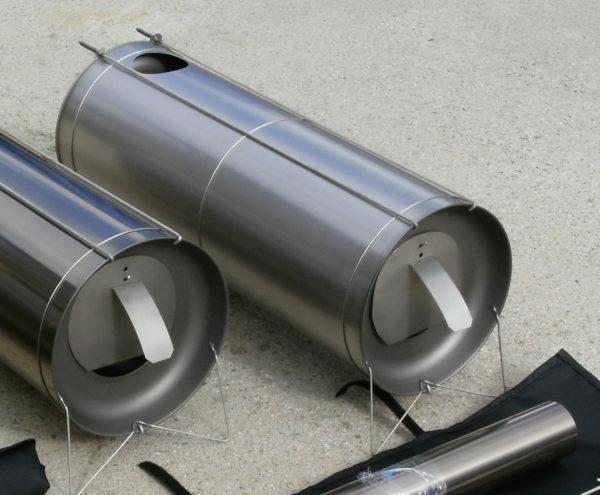 It also has an optional baffle that increases efficiency and reduces creosote build up. 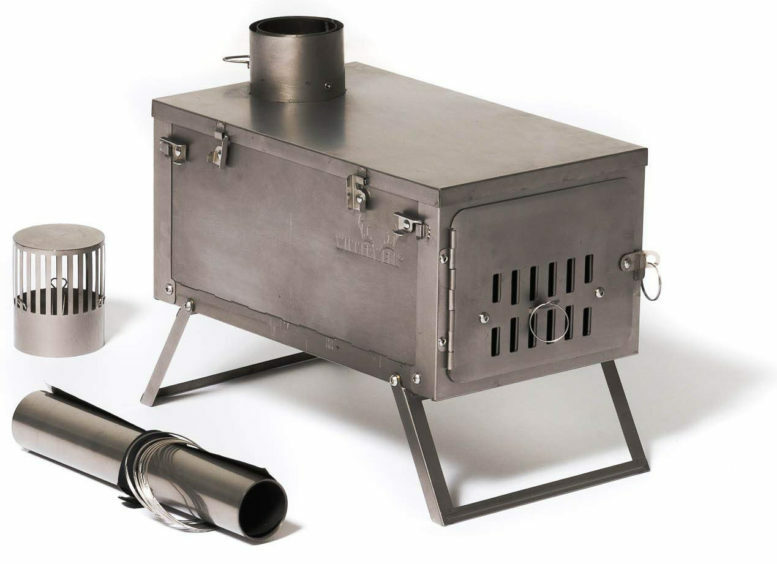 The Smith Cylinder Stove is one of the lightest stoves out there. A big complain I have is that it would be a pain to cook or heat water on this stove. The Fastfold Titanium has a sturdier look, that reminds me of stainless steel stoves. Something nice about it’s design is that it has less parts to lose and its assembly is easy and quick. 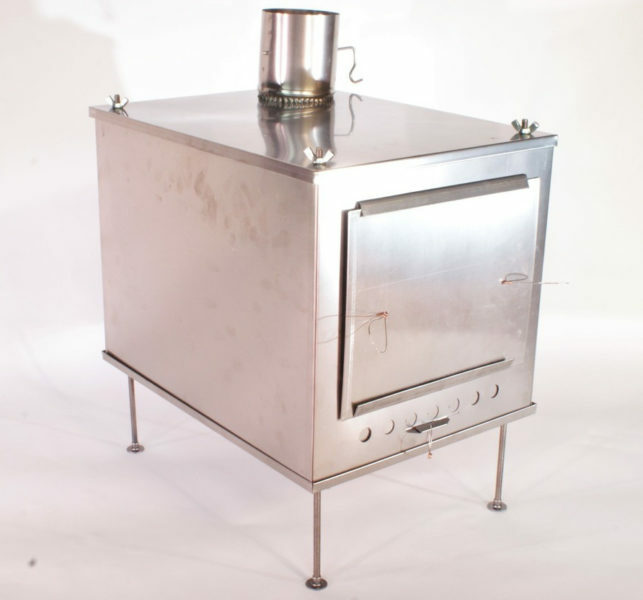 The front and back of the stove fold as well as the legs, only the sides and top are separated. The door is large for its size, but overall the stove is not big. The 3W stove‘s glass door sets this stove apart from the other ones; it is so nice to be able to watch the fire inside, and could provide some extra light at night. Another neat feature is the easily removable spark arrestor and damper for easy cleaning. The top is also reinforced to reduce warping. 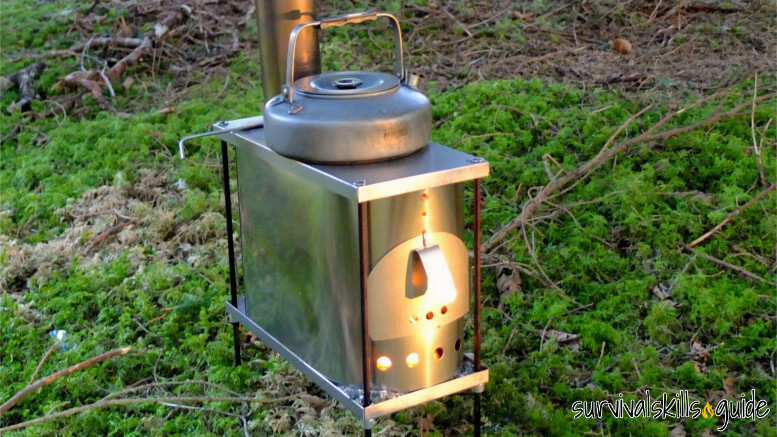 This handmade titanium stove made in Russia is not as light as the others; it has a baffle and snow float legs that should seem more effective than the other designs. Titanium stoves are very expensive and they are not very practical. They have to be restocked often and don’t retain heat. However, they are a game changer in terms of portability; paired with an ultralight hot tent, they open up new possibilities. 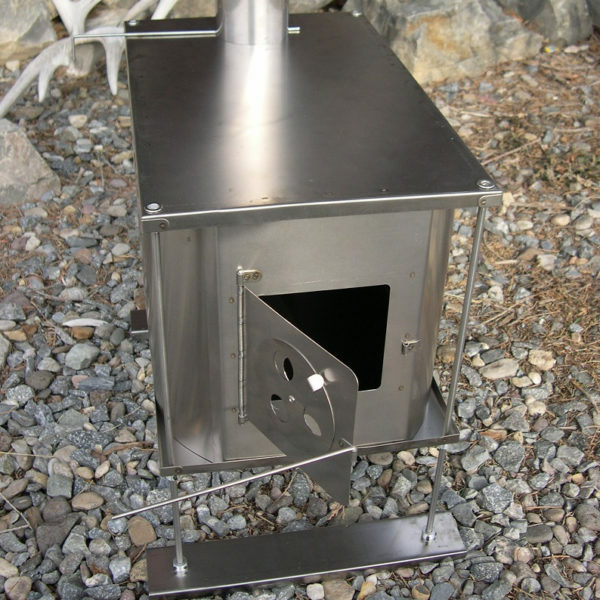 Be the first to comment on "Titanium Wood Stoves for Hot Tents: a Game Changer"